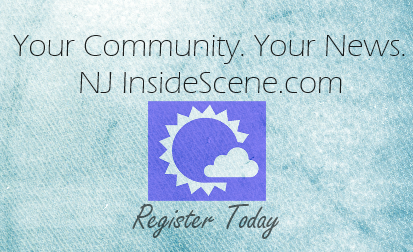 Newton, NJ – Herman’s Hermits starring Peter Noone will be bringing something good to The Newton Theatre on Saturday, January 16, 2016 at 8:00 pm. Tickets will go on sale to the general public on Friday, August 21st at 11:00 am. Universally regarded as one of Rock and Roll’s finest and most versatile entertainers, Peter Noone is second to none. Star of stage, screen and record, Noone’s performances are the stuff of legend, deftly delivering a broad palette of music, all gems that, through his voice, defined a generation. With over 60 million records sold, twenty of them were top 40 hits including I’m Henry VIII, I Am, Mrs. Brown You’ve Got A Lovely Daughter, I’m Into Something Good, There’s A Kind Of A Hush, and many more. The nineties found Peter embarking on a four-year stint as the winsome host of VH1’s My Generation, the highest-ever-rated half hour retrospective of pop/rock music. More recently, he was featured in the recurring role of “Paddington” on the CBS daytime drama, As The World Turns. His legion of fans eagerly awaited each episode and Peter quickly became a favorite of the soap opera magazines and online message boards. He began the millennium with his successful entry into cyberspace and the New York Daily News dubbed him “The King of the Sixties on the Internet” due to the overwhelming popularity of his websites (peternoone.com and hermanshermits.com) and social media. 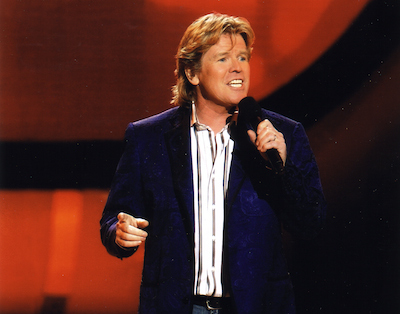 Accompanied by his band Herman’s Hermits, Noone currently performs over 200 concerts a year. He consistently plays to sold-out venues and his admirers span the generations. Today’s teen girls scream just as passionately as their mothers did back in 1965, prompting VH1 to select Noone as their viewer’s choice for the “Sexiest Artist of the Year”. There is no doubt that Peter Noone’s extraordinary talent, disarming wit, handsome features and compelling stage presence will continue to delight fans of all ages, for a long, long time to come. 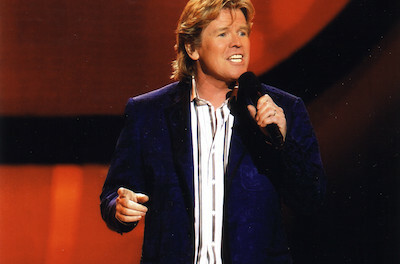 Tickets for Herman’s Hermits starring Peter Noone range from $49.00 TO $74.00. Purchase tickets by visiting www.thenewtontheatre.com or contact the Box Office at 973-383-3700.